Reserve your ad space in the Community Guide before April 15, 2019! Register today for the Annual State of the County Breakfast with County Executive "Angela Alsobrooks"! 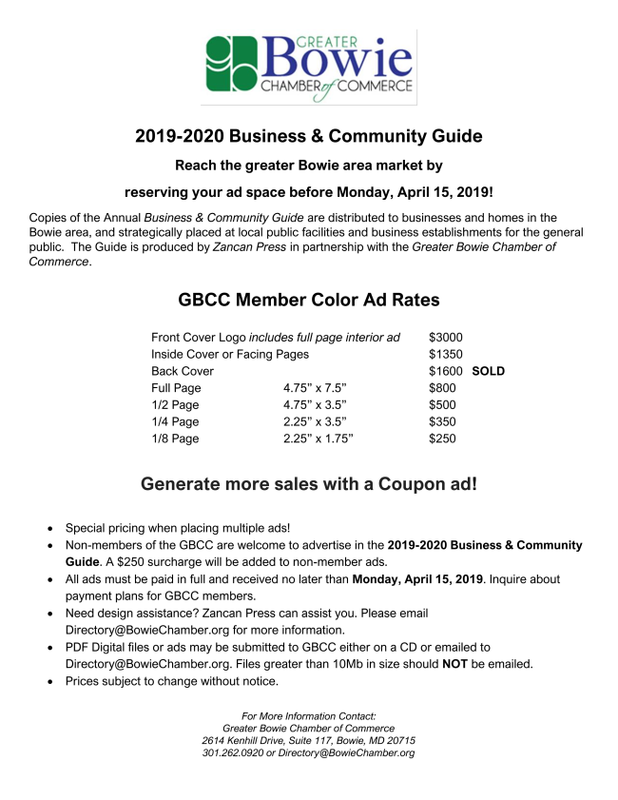 2019-2020 Business & Community Guide today! 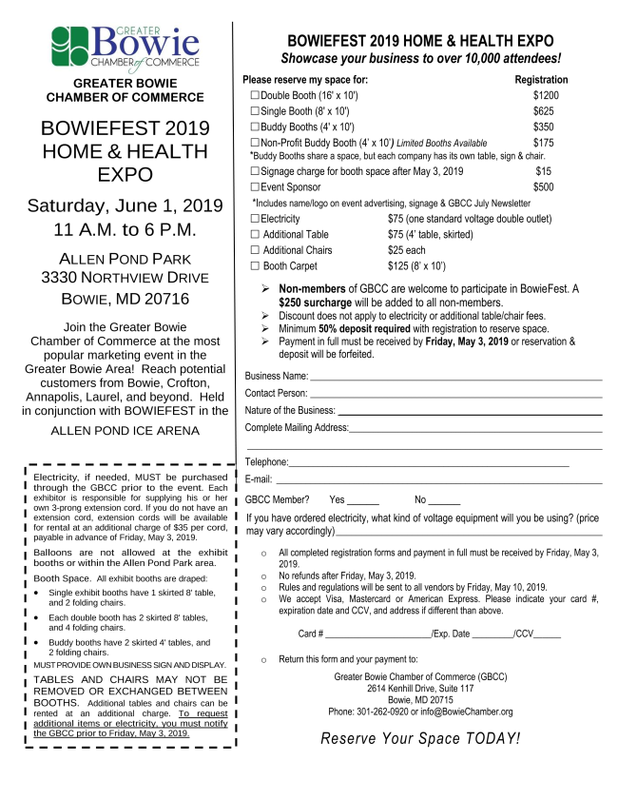 BOWIEFEST 2019 HOME & HEALTH EXPO today! "Rural legislators lose fight on pesticide ban"
Rural delegates fought a losing battle on the House floor Thursday against banning a pesticide that has been linked to autism, ADHD and childhood cancers. Lawmakers from the state's rural areas said banning the commonly-used pesticide would be a blow to farmers who rely on it to grow their crops and put them at a competitive disadvantage. "SENATE PASSES $15 MINIMUM WAGE"
The Maryland Senate approved a bill Thursday night that would gradually increase the state's minimum wage to $15 per hour, putting the measure one step closer to a possible showdown with Gov. Larry Hogan, Pamela Wood of the Sun writes. The Senate voted 32 to 15 along party lines to phase in the higher wage by 2025 for companies with at least 15 employees. Smaller businesses would have until 2028. The House of Delegates also overwhelmingly passed the legislation, although differences between the bills must be addressed by a joint committee, writes Ovetta Wiggins in the Post. Senate President Mike Miller said Thursday that the General Assembly will not consider legislation this year to legalize sports gambling, meaning that the earliest the state could implement a system to authorize and tax betting on athletic contests is likely 2021, reports Ovetta Wiggins for the Post. Miller's declaration casts doubt on the likelihood of the issue being taken up this year and squelches optimism expressed by legislative leaders earlier about legalizing sports betting, writes Bryan Sears for the Daily Record. Currently, four bills, including one in the Senate, propose legalizing sports gaming, including through referendum. A bill that would require more of Maryland's energy to come from renewable sources is moving forward in the state Senate, after a failed attempt to defeat the bill in the House of Delegates, reports Pamela Wood in the Sun. The Senate Finance Committee approved the Clean Energy Jobs Act on Thursday on an 8-3 vote. Some senators expressed reservations about the possibility of the bill causing electricity bills to increase. Josh Kurtz of Maryland Matters writes about a bill that is heavily backed by the utility industry, including Exelon, BG&E, Pepco, Delmarva Power and Washington Gas, and its well-heeled lobbyists that went unnoticed until recently. Now, the AARP and consumer advocates are taking notice and are pushing back. The Sun's Jean Marbella writes that Derik Leonard welcomed the prospect of a Johns Hopkins University police department, saying it could improve safety for customers and staff of the restaurant he manages about a half-mile south of the renowned Hopkins hospital. But state legislation to create the new force, which the Maryland Senate passed Thursday and is pending in a House committee, has been amended so that university officers couldn't patrol beyond a tight perimeter surrounding the school's three campuses - unless the adjacent neighborhoods and the City Council grant their approval. Rural delegates fought a losing battle on the House floor Thursday against banning a pesticide that has been linked to autism, ADHD and childhood cancers, Diane Rey of MarylandReporter reports. Lawmakers from the state's rural areas said banning the commonly-used pesticide would be a blow to farmers who rely on it to grow their crops and put them at a competitive disadvantage. The House of Delegates passed legislation Thursday to expand Maryland's law against the cyberbullying of youngsters, Steve Lash reports in the Daily Record. In a column for Maryland Matters, Josh Kurtz writes about the seismic shift in Annapolis that occurred when Senate President Mike Miller, the longest serving state Senate president in the country, announced that he had cancer. For the first time, his colleagues were thinking in terms of succession planning. Tim Curtis of the Daily Record writes that legislation regulating for-profit colleges in Maryland has passed both chambers of the General Assembly, but with amendments that supporters say gut the heart of one of the bills. One bill would require schools to make disclosures about student outcomes, and the other would define what is a for-profit college and what is a nonprofit college. In a Political Notes column for the Frederick News-Post, Steve Bohnel writes that earlier this year, Sen. Michael Hough introduced what he believes is a "common sense" piece of legislation to address a lack of transparency in the appointment process for county Board of Education vacancies. Last week, that bill passed in the Senate 46-0. The Frederick County school board member who was involved in a recent local example of that process, however, doesn't think change at the state level is necessarily needed. Gov. Larry Hogan will be awarded the Mendez Award at the Maryland International Film Festival in Hagerstown this month, Tamela Baker of the Hagerstown Herald-Mail writes. "The Mendez Award is awarded to someone who has succeeded in the Television and Film Industry; or has supported film and television, and has given back to the community," Executive Director Tracie Hovey said in a statement. The editorial board for the Annapolis Capital praises the late Gov. Harry Hughes, opining that "it's hard to imagine just how revolutionary Harry Hughes' election as governor seemed in 1978. Maryland was reeling from corruption scandals that cost Spiro Agnew the vice presidency and Marvin Mandel the governor's office. Somehow, this former transportation secretary from Caroline County managed to upset the Democratic favorite in a crowded primary and then go on to crush the Republican in November." 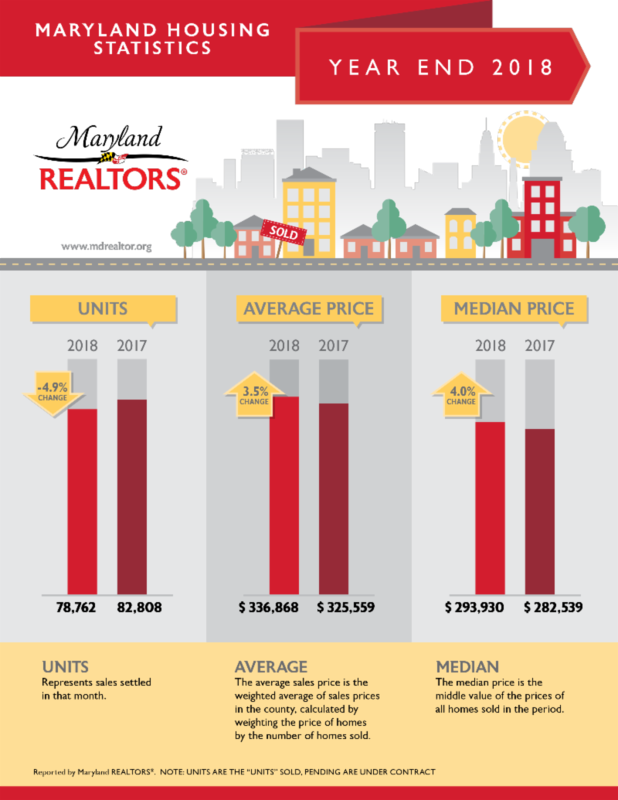 In 2018, average & median sale prices in Maryland climbed, according to the Maryland REALTORSÂ®. Twenty-one of the states 24 jurisdictions posted gains in average sale prices ranging from 0.6 to 12 percent in 2018, as compared to 2017. The average sale price in 2018 was $336,866 compared to $325,559 in 2017. While median prices statewide rose by 4.0 percent to $293,930 for a second straight year. e brisk buyer competition in the ongoing low inventory marketplace. The decline in units sold indicate the market is continuing to slow due to lack of inventory", added Tobin. Maryland monthly housing statistics are compiled by data as reported by MRIS/Bright MLS. For the purposes of this report, "units" are defined as the closed sales and "pending units" are properties under contract. Months of inventory are based on the current active inventory and monthly sales for the corresponding month. NOTE: UNITS ARE THE "UNITS" SOLD, PENDING ARE UNDER CONTRACT. *Months of inventory based on current active inventory and monthly sales for the corresponding month; Data are revised on a regular basis. Readers of these reports should note that older reports have not been adjusted to reflect these revised data. This report, however, contains the latest reliable data to date. **Maryland REALTORSÂ® publishes the Maryland Housing Statistics monthly; it is available through the Association's website, www.mdrealtor.org. The County Council, sitting as the District Council, is granted authority to act on zoning matters by the State of Maryland Regional District Act, now known as Article 28 of the Maryland Annotated Code. WATCH the District Council session on Monday, March 11th, considering land-use matters located in Council District 6 and Council District 2. The Council's General Assembly Committee, chaired by Council Vice-Chair Rodney C. Streeter, reviews and recommends positions on selected proposed state legislation with potential impact on Prince George's County. WATCH as the committee discusses proposed state legislation during its Tuesday, March 12th meeting, focusing on the Blueprint for Maryland's Future, Sports Wagering, the Pathways in Technology Early College High (P-TECH) Expansion Act of 2019, Labor and Employment, and Check Cashing. The Prince George's County Council, during session on Tuesday, March 12, 2019, unanimously voted to authorize a Council letter welcoming Amazon HQ2 to the Washington Metropolitan Region. The Council letter also echoes County Executive Angela Alsobrooks' sentiments in her February correspondence to Amazon, announcing the County's readiness to partner with the multinational Ecommerce company. Click HERE to view the related press release. Also, during Tuesday's session, Council Members greeted two special guests - 17-year old Dasia Newell, a senior at Riverdale Baptist School involved in a Capstone Project to get more youth involved in government, and 8-year-old Michael Bell, a second-grader at J. Frank Dent Elementary School in Oxon Hill, who aspires to one day be U.S. President! WATCH Tuesday's Council Session for their comments to the Council and the full agenda. The County Council received an overview of the Fiscal Year 2020 Operating and Capital Budget proposals from County Executive Angela Alsobrooks on March 14th, and now begins its budget review process. The 2020 Fiscal Year begins July 1, 2019. Pursuant to the County Charter, the County Council, in its role as fiscal steward over taxpayer dollars, must adopt a balanced spending plan for Prince George's County on or before June 1. Following the briefing, Council Chair Todd M. Turner issued a statement -"Addressing the County's budget priorities in Fiscal Year 2020 demands efficient and effective management of the County's finances, and we appreciate the great vision, focus and diligence of the Executive Branch in formulating this proposed spending plan." Read the Full Statement. For updated information on the Council budget process, committee work sessions and public hearings, visit the Council's FY 2020 Budget . Prince George's County Council Members were among the stakeholders in education, including teachers, parents and students, who participated in the "March for Our Schools," rally in front of the State House in Annapolis on Monday evening. The rally, taking place as the Maryland General Assembly considers critically important state funding for education, focused on need to support Maryland educators and students by addressing annual underfunding of schools. At-Large Council Member Calvin S. Hawkins, II, District 1 Council Member Tom Dernoga, and District 2 Council Member Deni Taveras were in attendance. The Chamber Corporate Partnership Program is an affordable and effective way to plan your marketing strategy during your annual budget preparation. 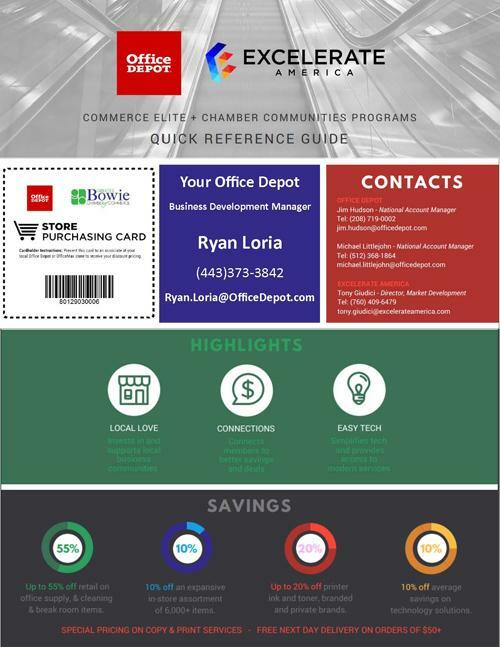 Each year the Chamber offers its membership an opportunity to participate in the Chamber Corporate Partnership Program which allows our members to receive maximum recognition and to maximize the return on their investment by choosing from one of five Chamber Corporate Partnership Program sponsor levels. 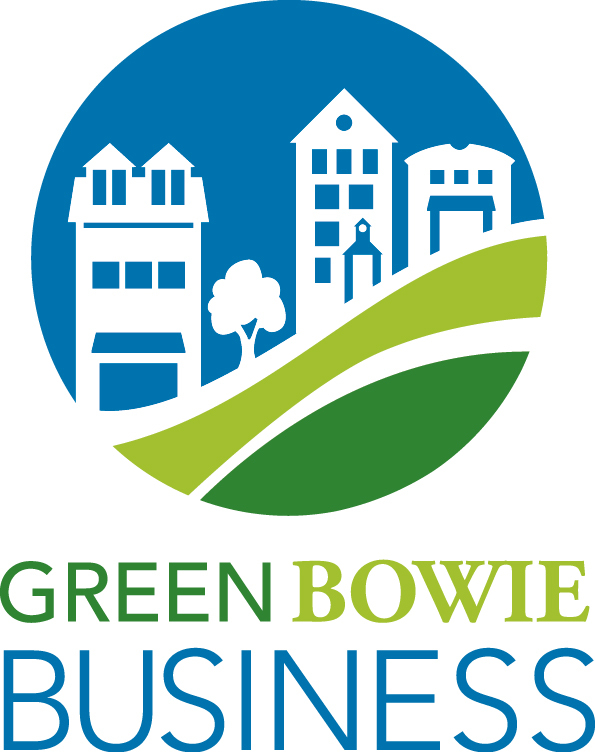 Three great events which are very popular with our Corporate Partners are the Annual Dinner, the Annual Golf Tournament and BowieFest. We also have many other major events from which to choose, including the State of the City and the State of Prince George's County.